If you’re looking for an experienced eye doctor in New Hartford and Utica for a contact lens exam, you’ve come to the right place. We not only make scheduling your appointment easy with our online appointment schedule in the New Patient Center, but you can fill out all of your information forms there, too! Getting contact lenses in New Hartford at Central New York Optometry has never been easier. To see if you’re a candidate for contacts, Dr. Ralph will discuss any issues you have with dry eye, recurring infections or allergies, which can make lenses cumbersome to some wearers. The rest of the contact lens exam is very similar to a comprehensive eye exam for glasses. Even if you come in for cosmetic lenses, we may discover an unknown visual impairment during the exam. The primary difference with contact lens exams is that a fitting session will take place to test how well particular lenses may fit you and to ensure that you know how to properly insert and remove the lenses. A pair similar to your prescription may be sent home with you for a test drive before a final order for your lenses is placed. 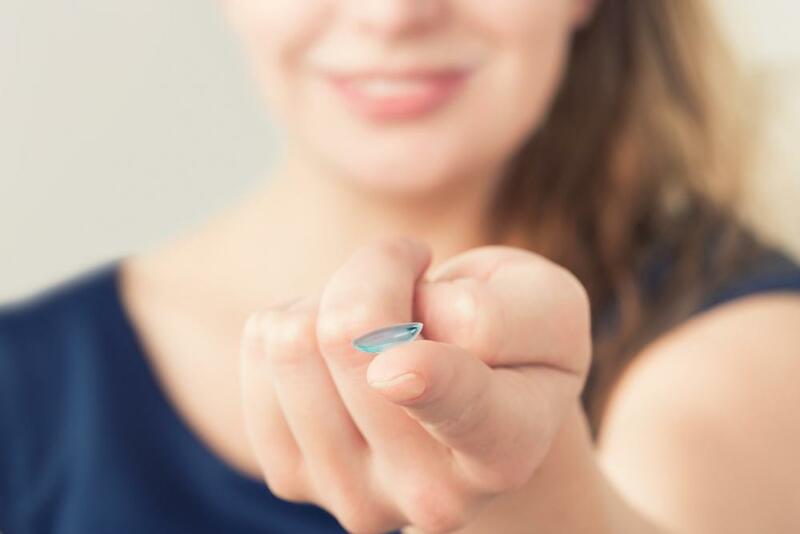 Learning about the different types of contact lenses from your Utica eye doctor is beneficial towards making the right decision on which ones you need. There are two primary contact lens types: cosmetic and corrective. Cosmetic lenses are non-prescription and are designed to only change or even out your eye color. While you may think skipping an exam isn’t a big deal, having one is vital to ensure proper fit and to prevent eye injury. Daily Wear: These conventional contacts can last up to a year and are the least expensive option, but must be removed and cleaned nightly. Extended-wear Lenses: These can be worn overnight, but they should be removed at least once a week for cleaning and disinfecting. Disposable Lenses: Considered the most convenient option, but must be removed nightly. Options include contacts that are replaced either daily, weekly, every two weeks, monthly or as needed. Other types of specialty soft contact lenses include color options, toric lenses for astigmatism and bi-focal and multi-focal lenses for specialty needs. Our Utica eye doctor will help you select just the right type to help you enjoy clear vision. Before inserting or removing lenses, wash your hands with a mild soap and dry with a lint-free cloth. Before inserting and upon removal, take a moment to inspect your lenses for any visible damage or scratches. When taking them out, remove one lens at a time, and gently clean each lens with the recommended solution and insert them into the case with fresh solution in place. You’ll receive full instructions on contact care during your visit. Head to our New Patient Portal and schedule your contact lens appointment with our eye doctor in New Hartford, or call Central New York Optometry, at (315) 735-7590 today. Running low on contact lenses? Reorder them right now with our online contact lens portal!